#Microsoft365 #Office365 #SharePoint – The next posts will be focused at end users and newbies wanting to learn more about SharePoint. I’ll take you through the basics in ‘byte-size bits’ to consume and broaden your knowledge. 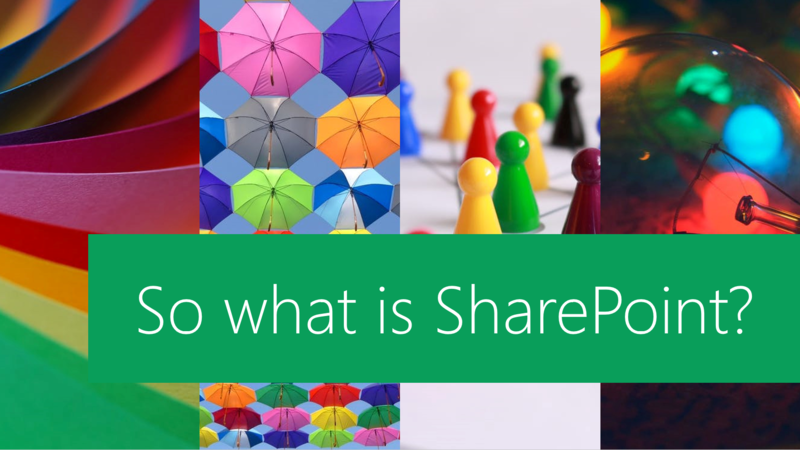 In this post we’ll take a look at explaining what SharePoint is in layman’s terms. Organizations use SharePoint to create websites. You can use it as a secure place to store, organize, share, and access information from any device. All you need is a web browser, such as Microsoft Edge, Internet Explorer, Chrome, or Firefox. Want to learn more? Note: The Start Menu will look different on your PC based on the OS (operating system) installed. Windows 7 will only show the ‘text’ menu on the left. 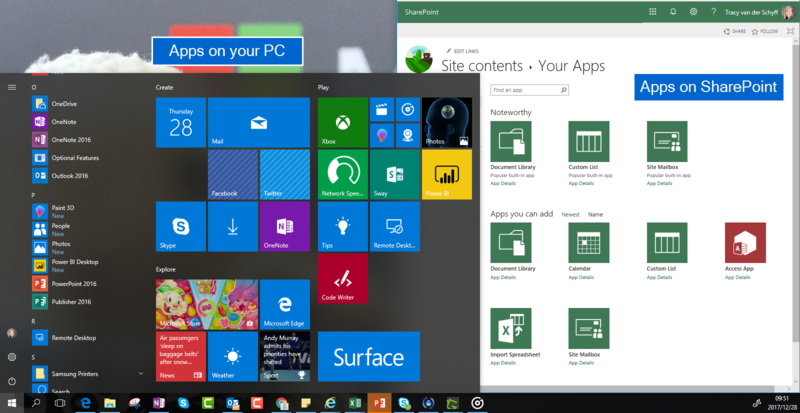 Windows 8 will only show the colorful tiles, Windows 10 shows a combination of both text menu and tiles (blocks).